You can import any pictures and convert it to sprites, and use them to create enemies or BG elements. But to be honest, sprites in the SHMUP Creator are mapped planes and are using the 3D level editor and engine. So yes, it works and you can make dodonpachi style's games. But the way to use the editor is sometimes awkward right now, and we are working on it. Been following this for a while on other boards. I'm really impressed at the way you have made the toolset (especially as one who has dabbled in engineering and UI myself). I do think there is a market for this kind of creator! Really fantastic idea and best of luck with it. I do think there is a market for this kind of creator! Yeah. I was wondering that myself. 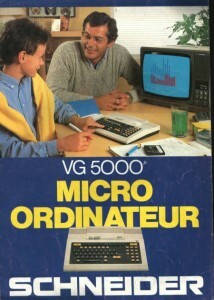 I wrote a post on our blog about my first computer, which was a french thing called a VG 5000, with 16ko of memory and 8 colors. There are so many things you can do in a shmup! Scoring techniques, power ups, scratching, bullet cancelling… The truth is, we can’t support everything, because in this case the interface would be cluttered and too hard to use for beginners and such. And, to be honest, we don’t know everything! 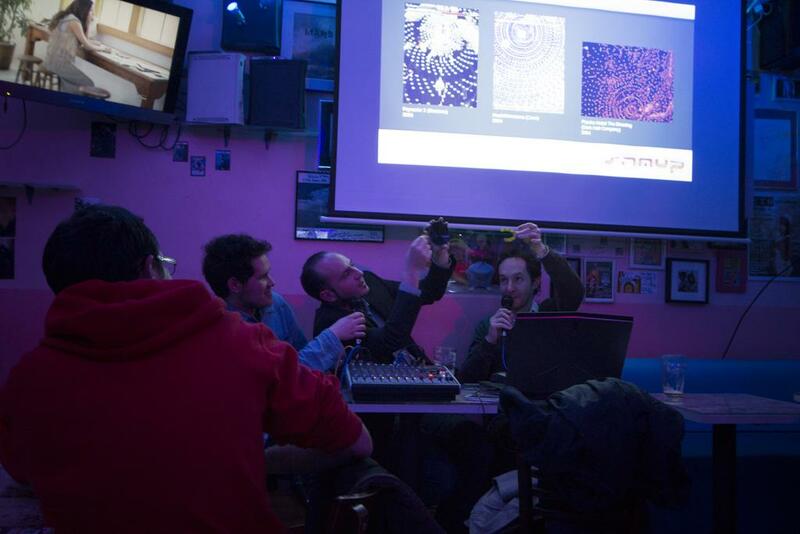 This is why we are very happy that Radigo, a shmup expert who is contributing to the great french website shmup.com and was directing the Superplay TV show on the gaming TV channel Nolife, agreed to meet me and talk about the SHMUP Creator, what features should, in his opinion, be part of the tool, what is irrelevant, and about shoot’em up design in general. We meet at the Kawaii café in Paris and talked for 4 hours! Radigo plays lots of shoot’em ups, is really knowledgeable and articulate, and, better than that, is a game coder himself. The conversation was precise and organized, and I’m really looking forward to starting implement the new gameplay features in the SHMUP Creator. Actually, I already did: A thing Radigo likes a lot in shmups is secrets: doing things which sometimes spawn something, an item or a secret boss. So I added a “random trigger” to the game. An item can be spawned only sometimes, or some enemies can appears or not depending of the randomization of the conditions. I really think the result of this discussion will permit people to create more complex and deep gameplay. And as always, the idea is to add some lego bricks of gameplay and to let people use them, and, maybe, be surprised because they will do things I even didn’t thought possible! Meanwhile, we are hardworking on our demo level, and I’ll keep you posted very soon! Having objective-based controls is definitely a must-have, but I wouldn't make it random. Certainly have randomisation as an option but I'd link it to the objective itself ie hovering over a place on the screen and out pops a Miclus (yes I'm thinking Raiden Fighters here). Good to hear you got some good advice, hopefully it'll show in the final product. The idea is: You have to destroy all the red buildings in a particular area, and then, sometimes (this is the random thing), a Miclus will appear. Or you can destroy an enemy, and sometimes, an item will pop-up. 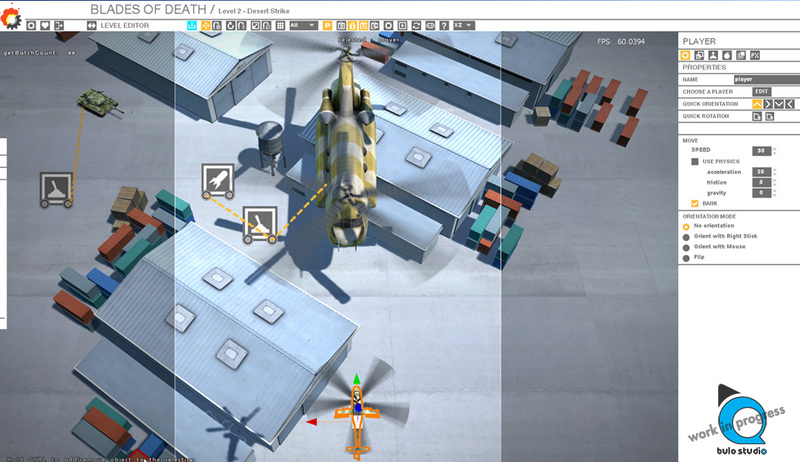 You can already have trigger zones, and allow the player to hover over a place and trigger an event. You now have the choice to make the event triggers sometimes, or not. If you have other ideas/examples of things you think would be must-have, I'm all ears! Health bars. Are they configurable (ie can you change their position, set them to different things apart from x enemy or x variable value) and can you change its appearance? Player shots. Can you configure ie. bouncing lasers or anything creative with the player weapons apart from the obvious wide/focus shot? Having only a few weapon 'presets' to choose from as some engines do is bad jujus. Scoring systems: same concerns as player shots really. is this something that can be extended or easily changed from simple increments or chains? For now, you can choose to display a bar, or not, for the enemy life. You can use a big bar for the bosses, and that's all. I would like to offer more customization in the future, but for now I try to focus on the core features. You can do A LOT with the weapons system. You can have super weapons using gauges, power ups, weapons from items, lasers, plasma "raiden" lasers, and there are tons of settings for creating complex bullet patterns. And the enemies can have several "sets" of weapons, and switch depending of their current waypoint or such. This is more problematic. I would like to offer scoring rules "bricks" which can be easily used in different orders to create original scoring rules. The thing is, it's hard. For now, there are a lot of options to choose from, but I'm not really happy with the result and the gameplay editor is cluttered. But I would like to avoid scripting, too, so, I'd be happy to hear your thoughts about this. But Everything is too compartmentalized, and not flexible enough. Will your engine have things setup in its features to let me make my own custom meter systems, and other mechanics like those I mentioned? There are already some canceling, medailing and chaining mechanics in the tool. I'll implement grazing very soon, and a way to know the distance between the destroyed enemy and the player. But my problem right now is to allow people to create custom meter systems and such without any scripting. I have all the datas you need in the tool (the time between two kills, the number of chains, from what weapon is the bullet which hit the enemy and so on...), but I don't know how to allow people to combine all the datas to create a scoring system with a graphical UI. To help me understand your needs, could you please describe precisely what kind of features you think of? No way! Shoot em ups are all about explosions! It's working well. It's a shame the particle editor is a little bit on the buggy side, but as it's now open source, I hope it will be more stable over time. We are going to show for the first time the SHMUP Creator to a game festival in France, and so we need to polish our demo as fast as we can. Looks nice, like Under Defeat. Who am I kidding?! They're awesome!!!1!!0ne! My 12-year-old self would totally make every enemy explode with the boss explosion. The explosions are very good for being 3D. Can the alpha, velocity etc. of the particles be tweaked with arbitrary curves, for example to make smoke trails that diffuse slowly and then disappear suddenly? Greater author control can make the difference between mediocre, commonplace graphics and great, stylish graphics. Can the alpha, velocity etc. of the particles be tweaked with arbitrary curves, for example to make smoke trails that diffuse slowly and then disappear suddenly? Yes, using the editor of Particle universe, you can use points in time, or curves. To be honest, I didn't used curves with these explosions, but I should. I plan to go back and polish them later: I'm not completely happy with the way the smoke disappear. We are going to show the SHMUP Creator to everyone at the indie games floor. We worked on a nice demo to show you what people can do with the tool, and I hope you'll enjoy it! Back from the Stunfest, and it was great! It's in french only, but you can see how it works. Well, when can I try this tool? Just detected your beautiful tool. As it seems, I don´t go into Game Maker Studio, instead waiting for Shump Creator to be released. I think I will have a lot ideas for this tool. Would be really nice, to have a tool which allows for absolute creativity and in at the same time is perfectly simple to use. I´m really looking forward to this. Last edited by Shadolf on Tue Jun 30, 2015 3:15 pm, edited 9 times in total. I hereby dub this project, SEUCK-HD. Well, I could tell you "soon", but it's not really precise, isn't it ? Shadolf : Thanks a lot for your suggestions. If you have more, don't hesitate to write them there, every input from future users are in invaluable. You can use any logo, background, music etc. You don't have absolute control yet though, it will be in future versions. You can change the screen resolution, but more importantly, you can choose the screen ratio of the gameplay area : 16/9, 4/3, 3/4.... And it will be constant on every PC. I'm going to implement the yoko/tate rotation option, because it's cool, but I'm not sure when. You can, but not for everything at the moment. Bosses can have a bigger lifebar. There is several ways to implement different behavior depending of the boss life. This is something which is working right now, using events and triggers, and that will evolve in the future. For ex, in my demo, when the boss life drop under x points, fire particle, a sound, and a cancelling effect are triggered. Done. I'll have to test the SHMUP Creator with arcade stick too, in the next few weeks. Manual scrolling is working. You can restrain the size and direction of the manual scroll, and have in on top of the automatic scrolling. Nothing done there, need work. It's working, but not complete. You can use gauge, link it to weapons etc. 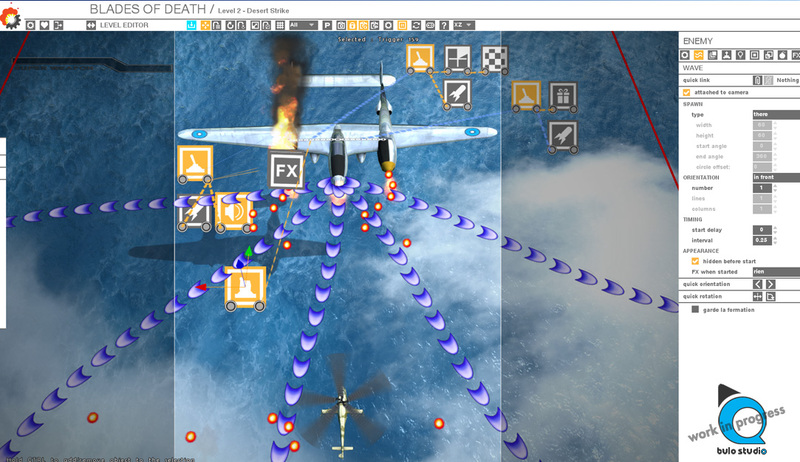 Right now, you can have 2 planes, and choose the scrolling speed. I have thousand more ideads/wishes/tipps . I already have two pages written down again. I have to write it proper, so that you and everyone understand what I want´to tell. You are French, right? That´s a funny coincidence, cause I got into Shmups and Arcade Games at a hollyday in France about 18 years ago. I wish I could speak French, then it would be a lot more simple to communicate my ideas. But I try my best with english. I´m looking forward to post my list up here tomorrow. I expect it to grow even longer till than . I waitet so long for a tool like this! I'm looking forward to reading your notes, Shadolf! But please bear in mind that I'm not going to implement everything in the 1st release (you know, like there were no layers in photoshop until the 3rd version !). My goal is to release first a solid and fun V1. It's already far more advanced that what I had in mind at the beginning, so I hope people will be happy with it! Then, my goal is to add features and make new versions, listening to people wishes, for as long as the project is commercially sound (even if it's not a big money maker, it's more or less a labor or love anyway). But listening to people like you NOW is great, because it helps me focus on what's really important, or not. For example, I had wallpapers working in the game, but you could only choose one for the entire game. You asked for a different wallpaper by level, and I thought "OK, it's really easy to implement, I should have thought of that". So it's done now!